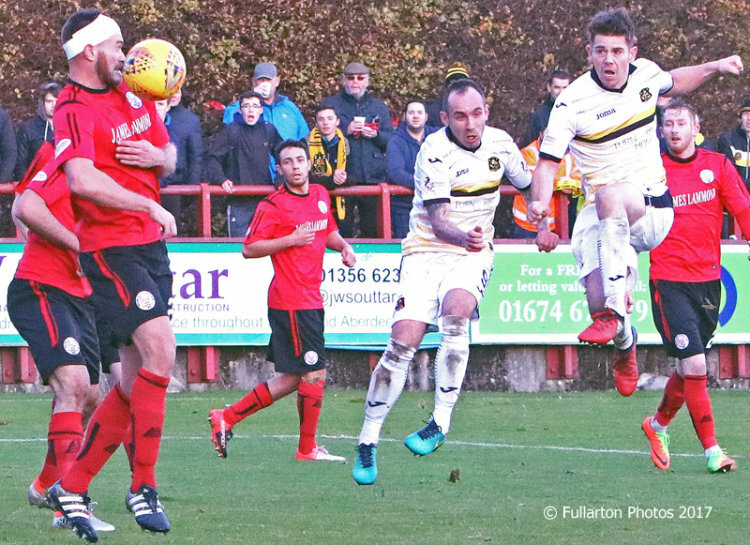 DUMBARTON gained a very valuable three points at Glebe Park, Brechin, thanks to an own goal in the 90th minute. DUMBARTON gained a very valuable three points at Glebe Park, Brechin, in front of a 568 crowd thanks to an own goal in the 90th minute. It was Brechin City who provided the game's decisive moment — but Sons were the ones who got the result. Home left back Willie Dyer was probably low down the list of potential matchwinners for Dumbarton, but he was, by courtesy of his horrendous bad luck in the final minute. Greg Morrison could not connect with Chris McLaughlin's delivery from the left. Dyer did, but his efforts to clear put the ball the other side of the post. From his point of view, it was the wrong side. From Sons perspective, it was priceless. It was a game Stevie Aitken's men just about shaded, but for long spells, the only Spark anywhere on the pitch was Brechin's right back Euan. The picture shows Dougie Hill, who was in Brechin's promotion-winning squad last season, firing in a shot for Sons.